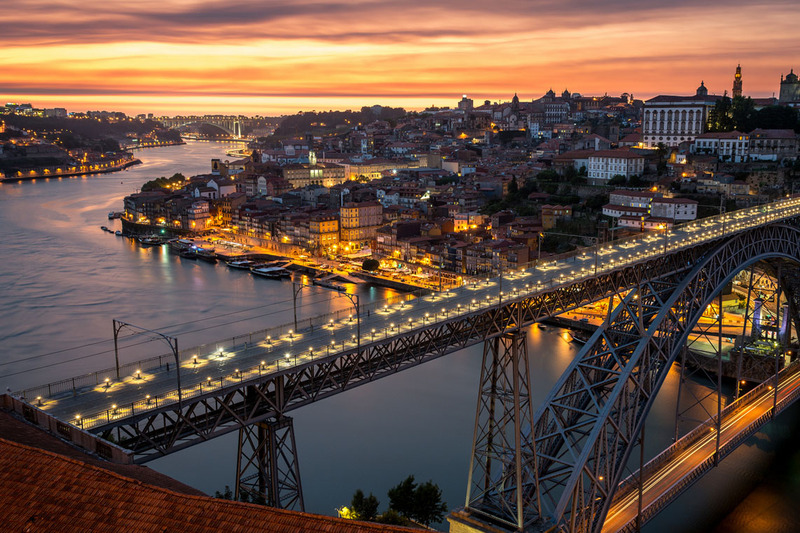 Porto has its origins in a pre-Roman settlement called Calle or Portus Cale, that originated the name of the country. Records indicate that the town was founded in 417. Over the centuries it had various rulers, among others the Suevi, the Goths and the Moors. As a result of an intense commercial activity the city developed quickly and in the 14th century the old medieval wall had become obsolete and was replaced by the new Ferdinand wall. However it was not until the “Age of Discoveries” that Portugal and Porto had an important role in the European affairs. Porto became a major trading port and in the 15th century it was one of the greatest ship building centers in Portugal. In 1394 Prince Henry the Navigator was born in this city; he was the fourth son of John I, King of Portugal, by Queen Philippa, John of Gaunt’s daughter. In 1415 he commanded the expedition which captured Ceuta, Portugal’s first oversea conquest. Due to the sacrifice of the inhabitants in order to help the army that conquered Ceuta, they are known as “tripeiros” (literally, “tripe eaters”). It is said that they offered all the good meat to the expeditionary forces that set sail from Porto, keeping only the tripes for themselves . This is the origin of one of the most traditional dishes of the local cuisine, “tripas à moda do Porto”. In the XVII Century Oporto knows an important growth due to the wine commerce. It was a period of great urban and administrative development. Significant artistic changes began in this period and reached their peak in the 18th century. It is worth mentioning the Baroque style, the best exponent of which was the Italian architect Nicolau Nasoni (1725-1773 ). Another important change was the urban reform carried out by João de Almada e Melo (1757-1786) and the beautiful Neo-classic buildings influenced by the English colony in the city. Porto has a long tradition of defence of civil rights. Its population withstood a long military siege by the royalist forces between 1832 and 1833. The sacrifice of the people, who fought to support the Constitutional Chart, made the victory of the Liberal cause possible. As a result of this heroic action, King Pedro IV described the city as the “very noble, undefeated and ever loyal city of Porto”. For all this it is considered the most impressive city in the north and deserved the classification of World Heritage Site by UNESCO.